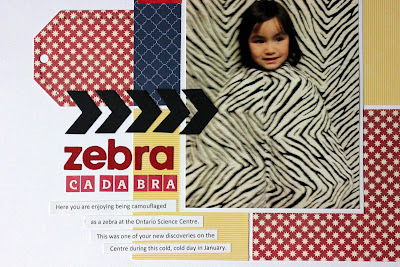 Here is a quick layout I made of one of our many trips to the Ontario Science Centre. We love going to that place especially on cold winter days. There is just so much to discover and explore. Each time we go, there seems to be one new thing my DD finds out and loves. For our last trip, it was the animal camouflage dress up thing-y. 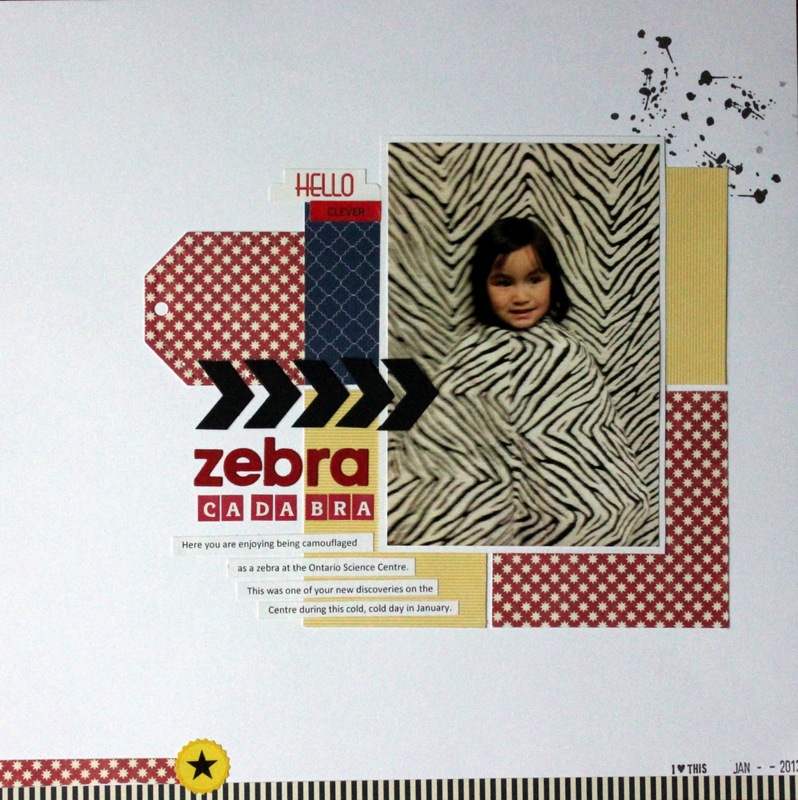 There were a number of nice animal prints like leopard, cheetah but she chose this zebra print to camouflage herself (I would have made the same choice, being a black and white fan myself!). I used Papertrey dies (modern alphabet, chevron which I cut into arrows, tag sale #3), patterned papers from MME and Jilly Bean Soup, alpha stickers from Simple Stories and a splatter stamp from Precious Remembrance’s Positive Thoughts set. I am also entering this to Leigh Penner’s Pages with Papertrey challenge #19 which is to use three difference PTI dies in a layout. Thanks for stopping by and hope you have a fabulous weekend! I'm glad you're enjoying the challenge so much, Irma! Your layout is wonderful! So fun! 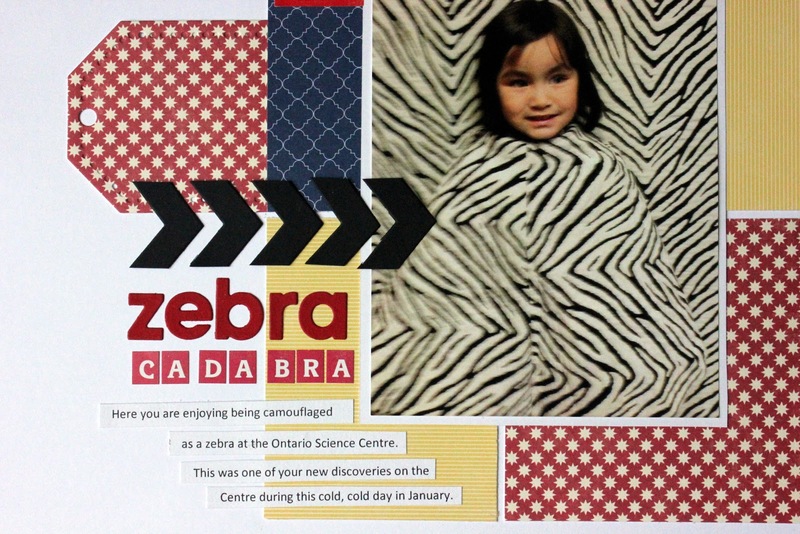 Great picture of your daughter with the camouflage. The Science Center sounds like a neat place. Great layout. Love the splotches on top.